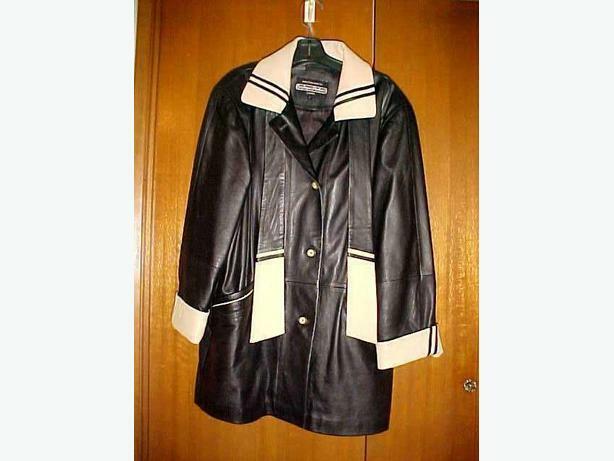 THIS STYLISH LEATHER JACKET WAS MADE IN TURKEY FOR THE BOUTIQUE OF LEATHERS. IT IS OF LAMBS LEATHER WITH AN ACETATE SATIN LINING. IT IS A SIZE 16. THE ORIGINAL PRICE WAS OVER $400.00. IT HAS ONLY BEEN WORN TWO OR THREE TIMES.